As our work has evolved, a growing area of conversation has centered around how to support pre-service education programs and bring the principles and practices of SRI critical friendship into licensure programs. Our belief is that these tools and practices will help us retain high-quality teachers by providing them with processes for adult collaboration, for reflecting on their own teaching, and for looking deeply at the work they are doing in order to serve students. We have a community of SRI affiliates who have been gathering at our annual Winter Meeting for the past three years to begin to share ideas and resources. Michael Soguero, Eagle Rock’s director of professional development, has been an integral part of the conversation. 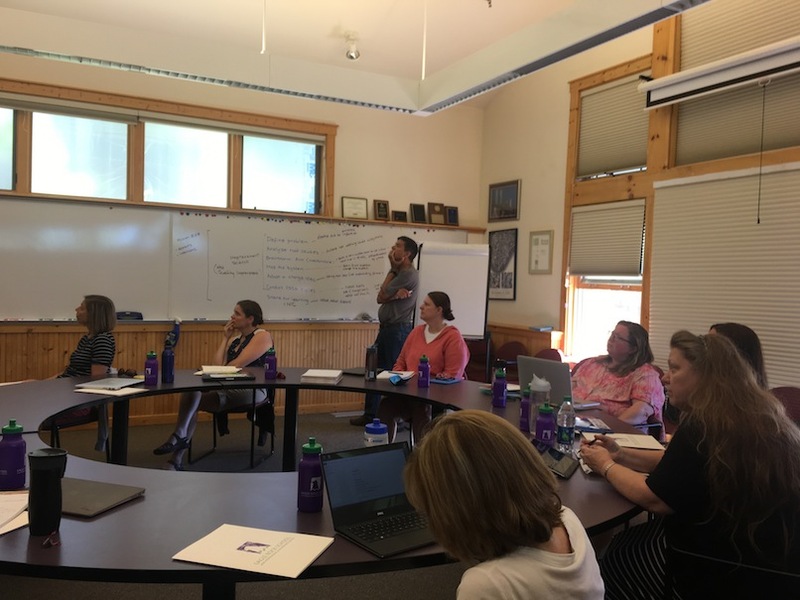 While thinking about next steps, he offered Eagle Rock’s Professional Development Center in Estes Park, Colo., as a place for hosting a retreat to provide time for more in-depth conversations. 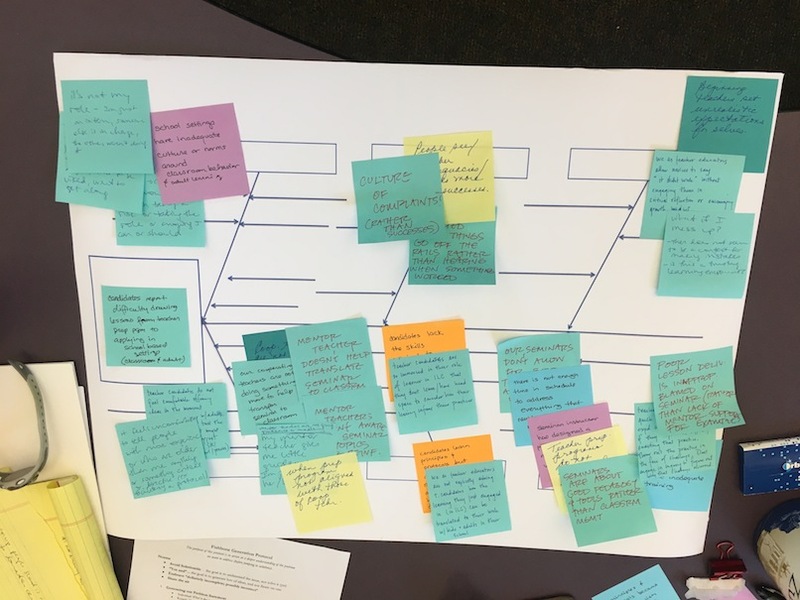 In planning for the retreat, it became apparent that not only could Eagle Rock provide a beautiful location, but also had expertise we could tap into for facilitation and utilization of the Network Improvement Communities framework. 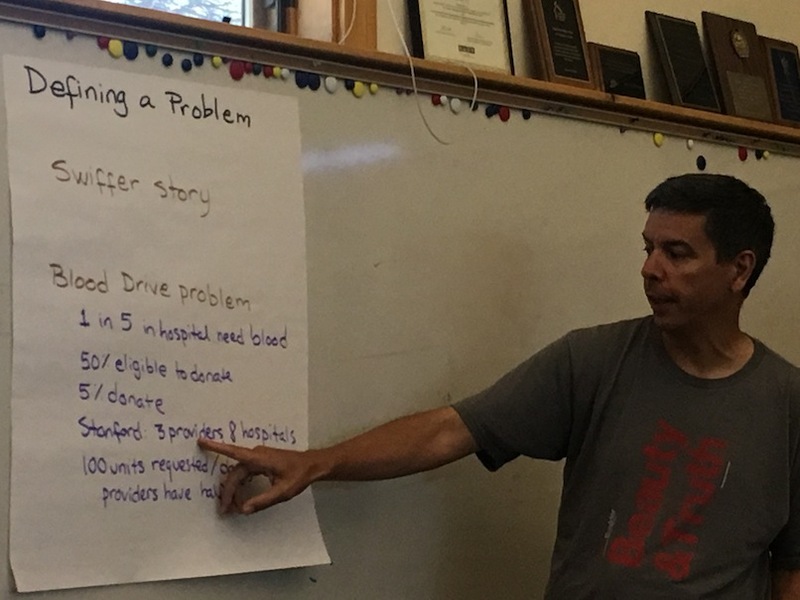 For two days — with skillful guidance from the Eagle Rock Staff and SRI affiliates — eight SRI participants learned about improvement science, and worked through their own context to define the problems, analyze root causes, develop measurable outcomes, map the system, and adopt a change idea. Two working groups developed, focusing on two specific elements of pre-service teacher preparation. One group focusing on strengthening the connection between what candidates learn in their seminars and how they apply it in their practice. The second group focusing on helping school leaders hosting candidates to better understand the specific collaborative and reflective practice work embedded in the licensure programs. Eagle Rock is one of the sites collaborating and participating in the Network Improvement Community (NIC), sharing the work from its licensure process as part of one of the two focus groups. Over the next six months, these groups will continue to meet and implement their change idea, collect data and work together to continue improving their practice, with continued support and guidance from Eagle Rock’s professional development staff. The Network Improvement Community work is closely aligned with SRI principles and practices because it asks participants to be in community while implementing a change process, learning together and sharing their work over time. This group will continue to meet virtually, and will come together in person again at SRI’s Winter Meeting (Jan. 11-14, 2017) at The Westin Denver Downtown in Denver to share its data, and then plan their next steps. The current group of participants represents both traditional and alternative licensure programs in seven cities, and candidates who will teach K-12 when they complete their licensure program. The potential long-term impact of this work can reach thousands of K-12 students throughout the United States. It can also inform teacher licensure programs on best practices based on the data collected through the NIC. I am thankful for the guidance provided by Eagle Rock’s professional development team. Michael, Dan and Anastacia’s understanding of SRI’s principles and practices, along with their expertise in Improvement Science, helped us model a process we intend to expand within our community. And of course, the setting couldn’t have been better for re-energizing and engaging in deep conversations about teaching and learning. About The Author: Kari Thierer is the Organizational Director at School Reform Initiative (SRI), a national nonprofit that works to support the creation of transformational learning communities that are fiercely committed to educational equity and excellence. 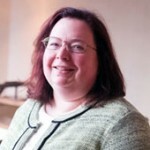 Most recently, she was the National Director of School & Network Support for Big Picture Learning. Kari has a Master’s Degree in Education Administration. She resides in Olympia, Wash., with her husband and daughter. When she isn’t working, Kari enjoys learning about and practicing small-scale sustainable farming, and enjoying the outdoors. This entry was posted in Professional Development Center, School Reform Initiative and tagged Anastacia Galloway, Coalition of Essential Schools, Dan Condon, Improvement Science, Kari Thierer, Michael Soguero, Network Improvement Communities, School Reform Initiative, SRI Winter Meeting.